OMAHA, NE – January 15th, 2019 – LightEdge announced today the completion of a conversion of their Omaha data center into a multi-tenant colocation facility, and the beginning of their Phase 2 expansion. The construction has begun, and the second stage of development is slated to be complete in Spring of 2019. LightEdge’s Phase 2 plans will expand the facility in both power and square footage, and prepare the site for Phase 3 to increase the capacity to 30,000 sq. ft. and 3 MW of power. The existing facility is built to a Tier III, concurrently maintainable design and interconnected with LightEdge’s other facilities via a meshed IP private fiber backbone, like all LightEdge colocation centers, to facilitate transparent connectivity with disaster recovery services across their markets, and provide direct public cloud access. LightEdge first purchased the facility from Cabela’s in late 2016. The 17,000 square-foot facility was originally constructed in 2010 and sits on 4.18 acres of land in Papillion. Since then, LightEdge retrofit the space to complement the design of their other facilities, and to better support the redundancy and security needs of their compliant cloud and colocation services. “All of LightEdge’s facilities are highly connected Hybrid Solution Centers where tenants can integrate customer-owned computing platforms with LightEdge’s compliant cloud services. We also bring a direct private connection to a variety of public clouds,” said Jeff Springborn, Chief Operating Officer at LightEdge. “On top of our hybrid flexibility, housing data in the Omaha facility gives clients direct access to six other highly-interconnected LightEdge data centers across Des Moines, IA, Kansas City, MO, Austin, TX, and Raleigh, NC, for added disaster recovery and redundancy,” said Springborn. LightEdge has passed all annual third-party audits on the Omaha facility, as well as their others, for multi-tenant hosting of colocation and cloud clients. Their successfully completed audits for this year include: SSAE 18 SOC 1 Type II, SOC 2 Type II and SOC 3, HIPAA/HITECH, PCI DSS, ISO 27001, and ISO 20000-1. 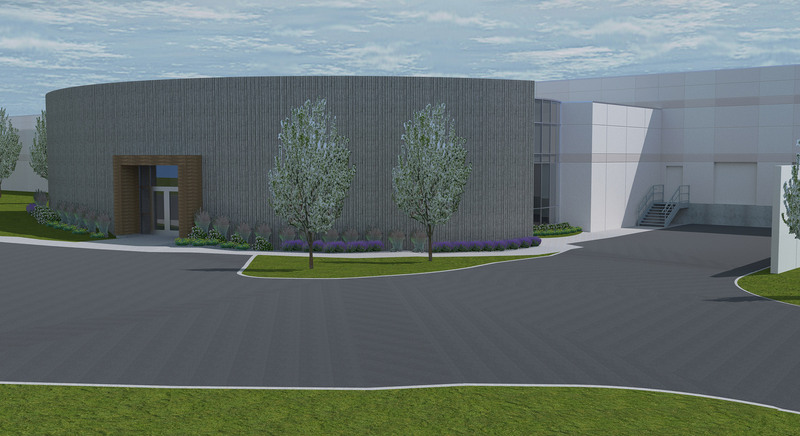 Omaha is the second LightEdge data center facility to be expanded this year. In September, LightEdge announced the growth of their Kansas City data center within the limestone mines of SubTropolis Technology Center. LightEdge also announced their acquisition of OnRamp in July, another leading compliant hosting provider from Austin, TX. With over 20 years in business, LightEdge offers a full stack of best-in-class IT services delivering flexibility, security, and control. Their solutions include premier colocation across seven purpose-built data centers, industry-leading private Infrastructure as a Service (IaaS) and cloud platforms, and the top global security and compliance measures. Their owned and operated facilities, integrated DR solutions, and premium compliant cloud choices make up a true Hybrid Cloud Solution Center. LightEdge’s strong financial backing of the Anschutz Group empowers them to invest heavily in their markets. For more information, visit www.www.lightedge.com.